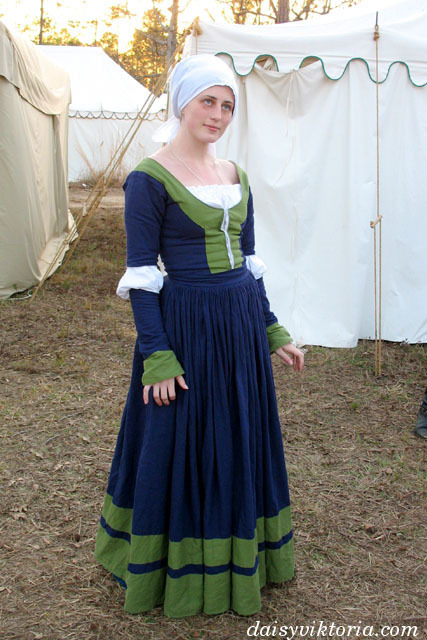 This is a style from 16th century Germany, worn by the kampfrau. 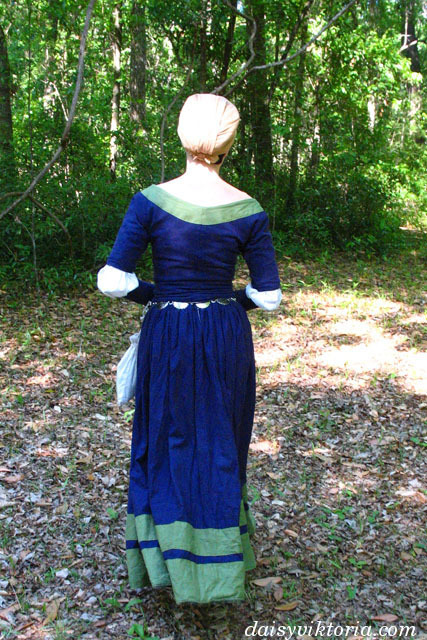 It is made of linen, with contrasting colored guards and trim. 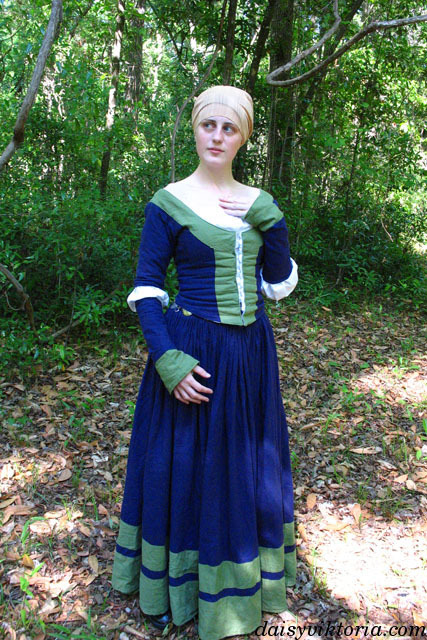 The skirt is cartidge pleated onto the waistband, and the bodice closes in the front. 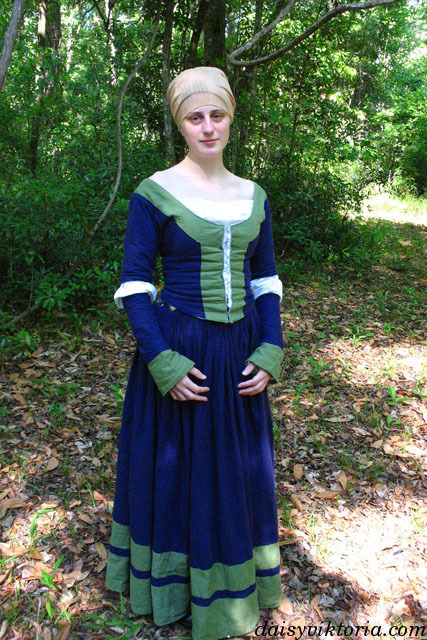 This variation includes a chemise with a low neckline.